It’s Monday morning. 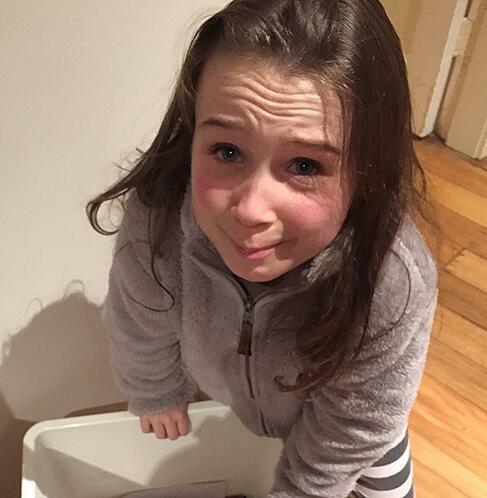 Your alarm goes off and for the next hour you and your household enters utter chaos. Clothes flying through the air could be mistaken for wild birds in the house, you find out that one child has become vegetarian overnight, the other only likes the *other* type of cheese, sports day is actually swimming day, and that the must-have lucky socks have somehow ended up in the toilet. And on the way out the door, you’re informed that you actually needed to leave half an hour earlier because someone's extra-curricular activity is having an extra practice that was forgotten. Hour of power - On Sunday evening before the week starts, one hour is put aside for everyone to help get ready for the week. When everyone chips in to put on the laundry, tidy rooms, clean out the school bags, etc. your family will be off to a good start to the week. Set the table for breakfast the night before. Put the bowls, plates, cutlery and any dry ingredients like cereals and fruits on the table. The next day all you need to add is the refrigerated goods and voila, it’s done! Pack their school lunches the night before. Cut up things like carrot sticks, fruit, and cheese - they all keep in the fridge overnight. Plan out sandwiches in advance so that you're sure you have the right amount of meat/fillings and can won't be in a panic the next morning. 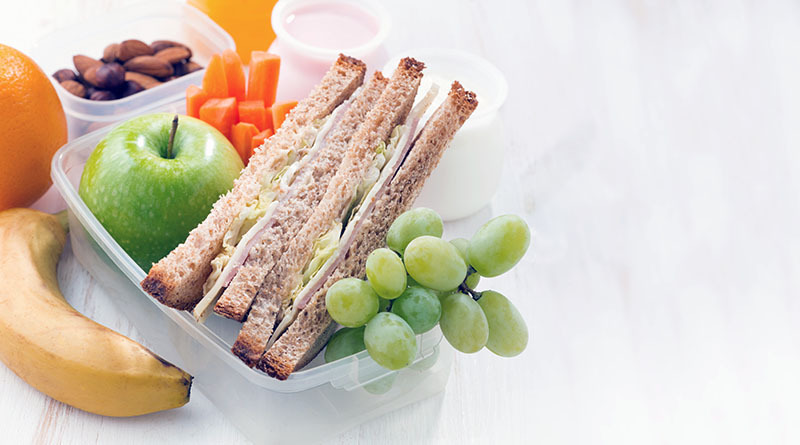 Pack your school lunches the night before, and your morning will be blissful! Choose the clothes for yourself and your kids and lay them out the night before. ALL the items you’ll need too – not just the main ones: underwear, socks, stockings, shoes, coats and scarves – everything you’ll need for the next day. Avoid sock mix ups, by using a marker pen to put coloured dots on the end of each sock. Each child has a different colour so you can easily identify whose is whose. Check school calendars the night before with your kids to make sure sports gear or other requirements are good to go. Put your alarm on 15 minutes before you usually do. This extra time doesn’t seem like much, but it will give you that extra leeway if something doesn’t go according to plan. Get snacks ready in bulk. Cut up a heap of carrot / celery sticks and put them in the fridge and add them to the kids lunch boxes throughout the week. Keep a stock of freezable food that can be defrosted overnight in the fridge, like savoury muffins or fruit slices. Use your fridge as a noteboard. Use coloured pens to make up checklists for things like what needs to be packed on Sunday night for the first day of school, or to leave notes about things that have run out, or that have been misplaced, like drink bottles. 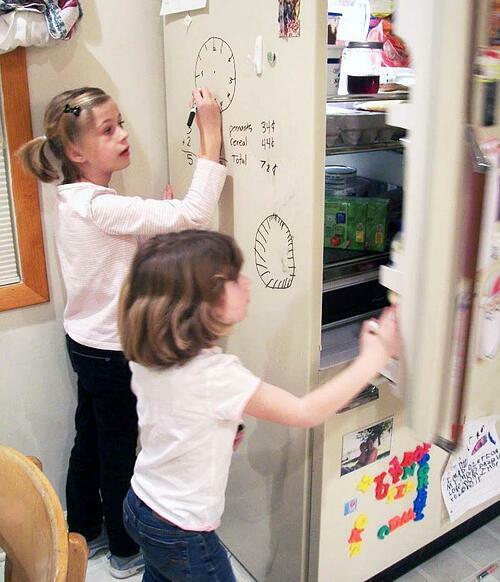 Whenever the kids complete a task they get to go to the fridge with a big old texta and scribble it out, and whenever they need something they get to draw it all over the fridge, which they love doing. Just remember to ensure no permanent markers are within reach! Put a whiteboard in your garage, so that you can see it when you leave for the day and when you come home. Use it to write to do lists, reminders and other important information you need to remember. Designate an area in your house, near the door, where jackets, hats, keys, bags and everything else you need to find easily before you leave the house, can be found. Use a shoe rack and designate each member of the family a row. Everyone will always know where to find them and it will keep the clutter out of the bedrooms. Get into a routine after school so that the next day is easier. School lunchboxes and school notes come out of the bag and onto the bench. To keep the house tidy during the week, have a ‘Saturday Box’, where anything that doesn’t get put away goes, including shoes, laptops, hats, books - both kids and adults. Once it’s gone into the Saturday Box, you aren’t allowed to retrieve it until Saturday - so beware, it could be gone for the whole week! When Saturday comes, everyone is allowed to reclaim their belongings. Print out a chore checklist template that you can write on to create a routine and make sure the household jobs are spread evenly throughout the family. You could try using an app such as choremonster to keep the kids engaged with chores. Go to bed early. Have an age appropriate bedtime for the kids (Preschoolers 10 to 13 hours, School-aged Children 9 to 11 hours, Teenagers 8 to 10 hours, Adults 7 to 9 hours), which will mean they get the sleep they need to wake up feeling refreshed for school. Whistle while you work. Have an evening playlist of songs for your ‘night before’ tasks and a morning playlist of songs to get ready to. Your evening playlist can be upbeat to begin with and then wind down a little leading up to bedtime (and also be a timer for how long the night before tasks take). Do something similar for the morning but make ALL those songs upbeat. You can change it up adding in new songs as you and your children get new favourites BUT always have the last couple of songs the same so you (and they) know it’s time to hustle out the door very soon! Keep calm. We know it’s easier said than done, but by staying cool, calm and collected, even when your family is driving you nuts, there will be much less chance of issues escalating out of proportion, making it easier to leave the house on time, and in peace. Most of all – try and have fun with your kids ☺ If they think of this time with you as fun time, they’ll look forward to it and actively get involved making the tasks easier for you all to complete! For more tips like these and handy resources for your family, sign up to our Student Hub newsletter now.